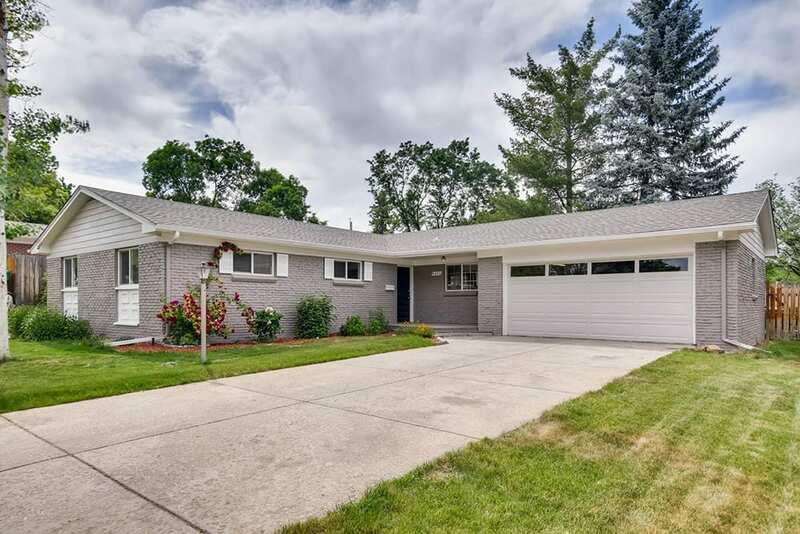 Superb brick ranch in Cherry Knolls! Featuring four bedrooms, three bathrooms, and an open and airy layout with seamless flow. Enjoy beautifully refinished hardwood floors, fresh interior and exterior paint, and newly updated bathrooms on the main level showcasing attractive modern finishes. Adjoining the dining room, the spacious and sunlit living room is highlighted by a cozy, wood-burning fireplace and offers a wonderful space to entertain. Wide open and bright, the dine-in kitchen boasts granite countertops, plentiful cabinet space, two pantries, a wall-mounted oven, and a large entertaining island with a cooktop and a second oven. Just beyond, the vaulted sunroom maintains an abundance of natural light and access to the patio and backyard. The master suite is complete with a walk-in closet and updated bathroom. Two secondary bedrooms and a full hallway bathroom are also encompassed on the main level. The finished basement is comprised of an expansive rec room, the fourth bedroom, a three-quarter bathroom, flex space, plenty of storage, and newer carpet. Mature trees and shrubs highlight the private backyard. Oversized two-car garage. Newer roof (2016). Fantastic location, walking distance to the community pool and close to top-rated Littleton schools, Cherry Knolls Park, Big Dry Creek Trail, the popular Streets at SouthGlenn, and the Denver Tech Center, with quick access to C-470 and I-25!